Marriage as I said previously, is a strange alliance of two totally different personalities.No matter how much compatible two people are with each other, no matter how much they compromise and adjust, there are bound to be some differences in thoughts and opinions. So while shopping with hubby might be a wonderful pass time for you (obviously because of his credit cards), it could be a pure torture for Hubby dear. Watching a romantic movie together might be your idea of spending a day with him, but his mind must be surely wandering towards latest Sci-fi thriller that is been screened in the same Multiplex. Searching food items in menu of a restaurant must be a general practice for him,while your eyes just roll on right side of menu (prize listed). While he might be large hearted when it comes to spending money on gizmos, you could be sulking for the so called, unnecessary expenditures. Debating with a rickshawaala over few rupees must be CHINDIGIRI ( stingy/acting like miser) in his dictionary,while you thought it to be an act of consumer rights. His techie talks might make you doze off in moments,while your daily Soap opera irks him to the extent that he almost bang his head on wall .Then there are so many little fights over wet towels on bed, scattered papers, misplaced socks, working till late nights and not spending enough time with family. The list could go on and on and on….. Jokes apart, lets move to the recipe of the day,which is simple Methi paratha.My hubby is very fond of Gujrati Theplas and I try to make them with all the culinary experiments.One such day,when I was asked to make theplas , panic hit me.I ran short of gramflour (chickpea flour) and not wanting to disappoint hubby dear, I just used wheat flour and went ahead with rest of the ingredients and procedure of Theplas.They turned out to be good,and so here I am sharing these lovely parathas with you all. A healthy paratha recipe, with methi leaves and whole wheat flour. Coarsely grind (without adding water) methi leaves (pick them,rinse thoroughly with water, place these in colander to drain out excess water) along with coriander leaves,green chillies. Remember you need a coarse mixture and not a Chutney. Later divide the dough into 5-6 small size rounds. This is a great blog! Glad you have it up. I absolutely love methi rot is and can keep eating them. Will try your version out too. I’ve never tasted a methi paratha in my life but have heard so many times of it’s tastiness in many hindi movies. Now that I’ve found the authentic recipe, I think it’s high time I try it out. Unfortunately, I can’t get fresh methi leaves here, but would it taste the same with dry methi leauves??? this is my first time in your blog. You have beautifully pictured, nice authentic vegetarian recipes here. And one more thing, my daughter’s name is Alka too. Nice write up Alka. Parathas look perfect as well. 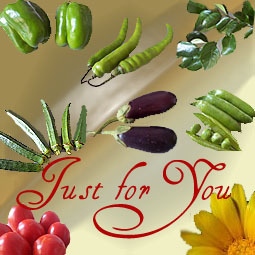 Just now i came to know about your ‘just for you’ event. Nice idea and i will definitely send in something for that. Great paranthas! And your story writing’s just so great – always makes me smile. heee hhee..that was nice alka…thats the same way we all feel I guess…poor hubby dear never goes out, the moment he does all of us call …..lovely parathas! When i read this it resembles our life too :-). Evne though we are opposite polls , I miss him when he is out of station. Lovely parathas. if we have to use gram flour means how much we should add, or fully we have to use gram flour. Woohooo!! Looks like loveguru is on the roll!! Great post, Alka:) You express my feelings exactly! My husband is out of town and I have got so used to him dropping the kids, and making my morning chai, forcing me to go through the morning walk, and though I have hazaar complaints when he is around I must say I am missing him!! But in many ways I relish the moments when I am alone too, as for shopping, movies etc…I enjoy these things better alone rather than with him. 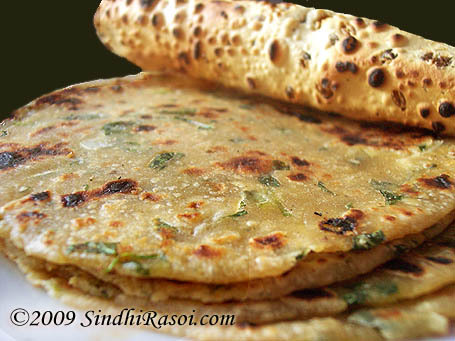 Methi parathas or rotis are the one way everyone eher will eat methi. it was nice reading your views about marriage. ya you are right, when he is not around, you start missing him and his habits.. it will be nice if they cud spend some time with us and then carry on with their work. why would we ladies complain? & also love methi parathas. I loved that gorgeous picture!!! Looks really great. Like reading this post, we all have so many things in common and same time so different. Paratha with methi leaves looks delicious and I know its very aromatic too. 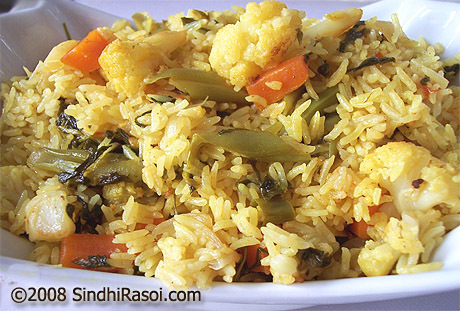 “Koki” is Sindhi recipe and famous all over world,similarly Methi “Thepla” is famous Gujrati recipe. You cannot call it paratha becuse there is no stuffing and its thinner than paratha. Sesame seeds is a must in this recipe. Well optionally you may add red chilly powder (add less green chillies), pinch of Ajwain, 1/2 tsp coriander powder, 1/2 tsp jeera powder. 2 tsp of til (sesame seeds). Some add 2 tsp (or more) of besan and juice of 1/2 lemon. I once added 1/2 tsp oil of mango picke? Adding optional items increases shelf life of this thepla and this can be used in train journey for 3/4 days. 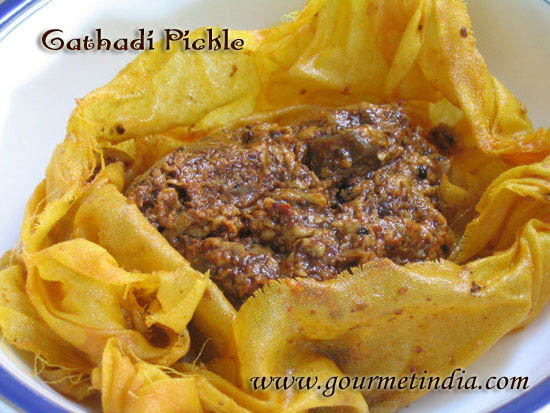 This recipe goes best with “Choondo” or mango pickle. My hubby don’t mind comming with me when i go for clothes shopping, mostly when i buiy new clothes i ask his opinion. Like you said when he is not aorund i too miss him after few days. But i do think sometimes it is nice to have alone few days to apriciate eachother.